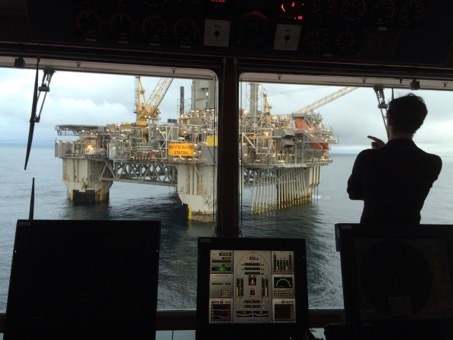 Global Maritime was engaged by Statoil to perform mooring disconnection and tow to shore of FPU Njord A and FSU Njord B. The scope of work consisted of project management, engineering, procurement and management of offshore operations for disconnection of both units offshore and tow to shore. Following disconnection from its STL buoy, the Njord B floating storage unit was successfully towed to Kristiansund. 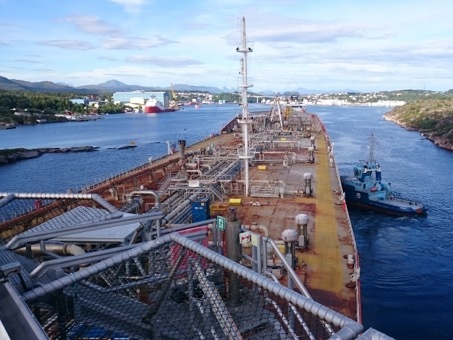 Further, the floating production unit Njord A was disconnected from its mooring lines and towed to Stord under management by Global Maritime on behalf of Statoil. Njord A mooring lines were wet stored for future reconnection, except one mooring line where mooring chain and wire was recovered to one of the anchor handling vessels for testing.